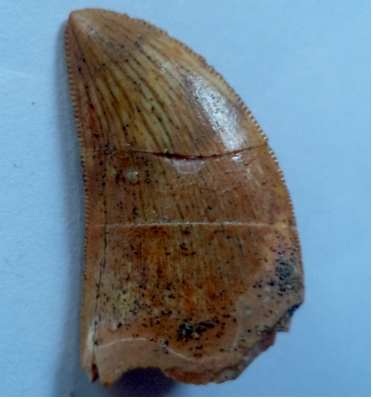 Judging by the color and morphology of this tooth, it is very likely that it was discovered in Kem Kem beds, in Morocco. Definitely it is not a raptor teeth. Sellers often label raptor to achieve higher prices. In my opinion this is a tooth of a juvenile Carcharodontosaurid. 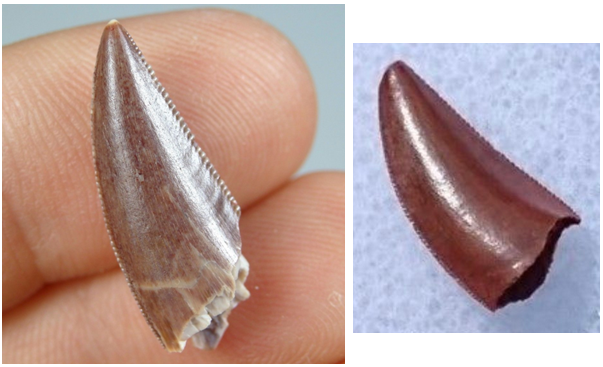 its Real in my opinion the second one looks raptor but its hard to distinguish without close ups of the serrations I have a few they look just like this. 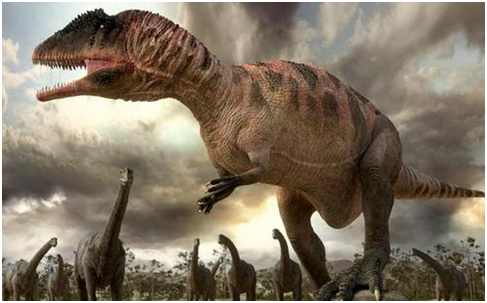 And in the end either way there theropod definitely meat eaters still way cool. I think Carch teeth are highly unappreciated. I like them! Just tell him Unky Doren says they are cool. That should change his perspective! 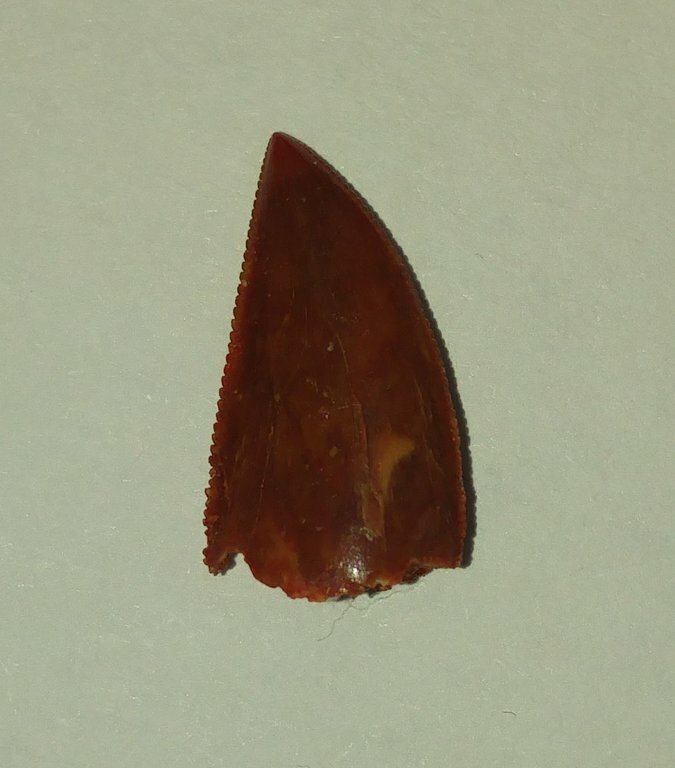 The second tooth, It is a theropod tooth but not a raptor. I'm assuming this tooth comes from Kem Kem beds, in Morocco. And I believe that this second tooth is from an Abelisaurid indet. The vast majority of Kem Kem Beds "raptor" teeth are mislabeled Abelisaur teeth, but this does not mean that there are no Dromaeosaurids present in Kem Kem as there is occurrence yes but they are very rare. 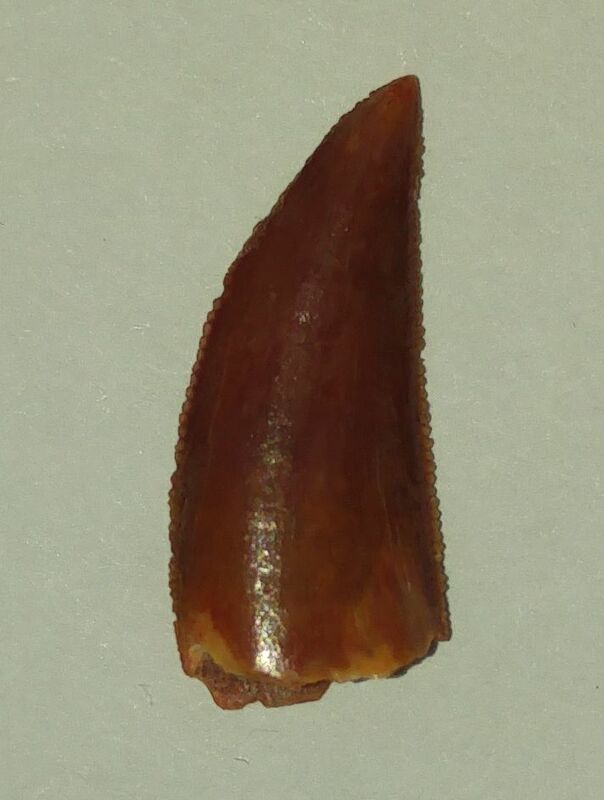 This tooth is extremely similar with the teeth of the Dinosaur Abelisaurid Rugops primus from Niger. But unfortunately, for now, there is no scientific evidence to support the presence of this particular species in the Kem Kem Beds. I highly agree with the both of you. Way cool. When my son asked for these for Xmas I was all about it. I wanted to be a paleontologist when I was his age. It’s better than games for the Xbox at least in my opinion lol and hopefully it will support his fascination with history and animals. If my kid turns out to be like Indiana Jones I’ll be a happy mom for sure! Good to know I would definitely say they are very similar to the info you posted and for future “raptor teeth” I’ll stay away from Kem Kem beds because these are from there. Currently the only raptor material we see from the Kem Kem are occasional Dromaeosaurid teeth but are difficult to ID. Raptors have recurved teeth, and The serrations are also generally larger on the back compared to the front, and Abelisaurid teeth have a straight back edge and serrations the same size as the front. So the best identification is Abelisauridae indet. Sellers like to identify teeth as raptor, because a label like this helps sellers sell their teeth faster and for a higher price, so you should not accept their ID's offhand. Good luck we are here to help. I am going to be nit picky and say that raptors have no teeth. They are a group of carnivorous birds including owls, hawks eagles, etc. It seems that many folks here consider dromaeosaurs to be 'raptors' because of Jurassic Park. I am not a fan. There is no such dinosaus as a 'raptor'. So we should decide what the interested kid wants for Xmas. Is he using the term raptor in the way that I just railed against, or he using it to include all theropods, which I have also heard folks use? 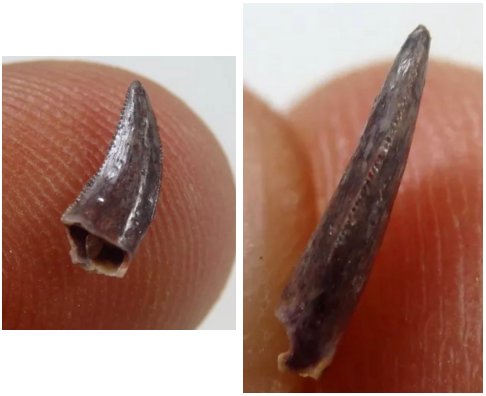 Dromaeosaur teeth can be hard to come by. 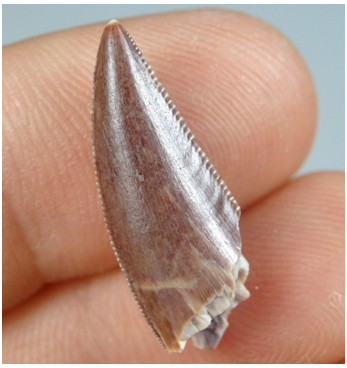 Large theropod teeth form Morocco are a dime a dozen. Thanks for listening. I will leave this for others to yell at me about. No yelling jpc. Actually very accurate observation. 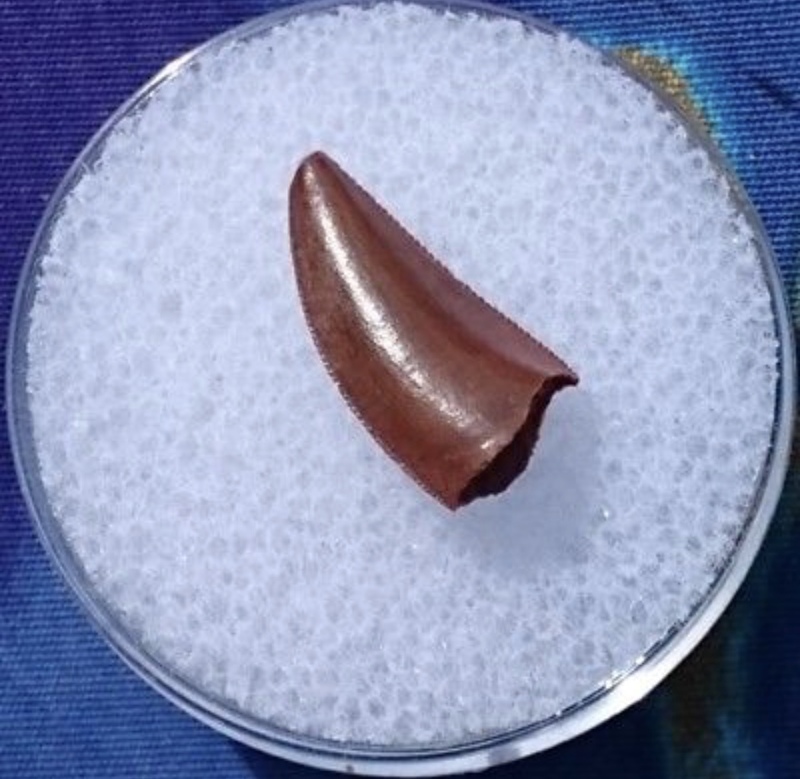 I sometimes think that there is a specific interest in perhaps acquiring a velociraptor tooth. Unfortunately, Jurassic Park sort of got the depiction of that particular dinosaur wrong as well. Now that you mention it, Dromaeosaur teeth are somewhat difficult to come by. At least nice ones! @Seguidora-de-Isis beautiful teeth especially that Abelisaurid tooth! These are real teeth, so don't worry about that. 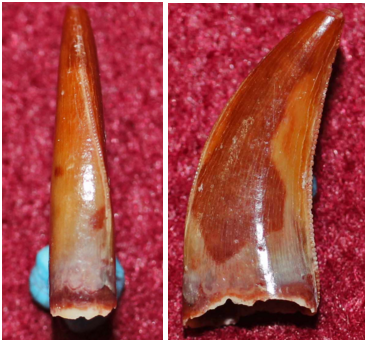 As the others have already said though, for various reasons, these are not raptor teeth. Raptors/Dromaeosaurs have recurved teeth that generally have larger serrations on the back edge. 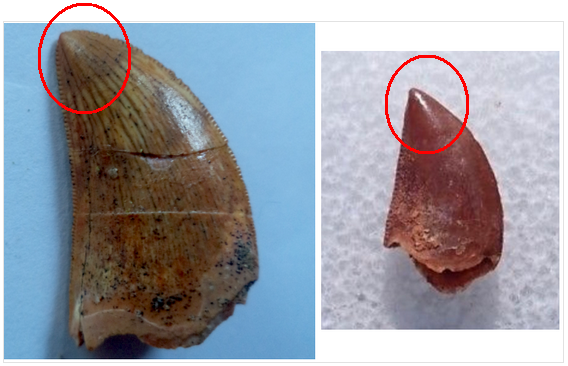 I think both of these teeth are from indeterminate Abelisaurids. I don't think either of them are Carcharodontosaurid. Though I'm not completely sure about the shorter tooth. A photo of the underside of the shorter tooth might give more info whether it is or isn't. Carcharodontosaurid teeth tend to be a bit wider/fatter at the base than those of Abelisaurids. Here are a few 3D examples for comparison. 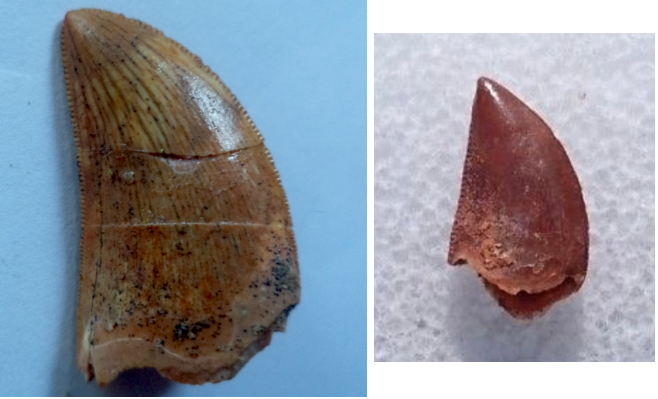 Though mind you that the Carcharodontosaurid teeth here are much larger and thus harder to directly compare. While you are entirely correct. I think just like Brontosaurus, before the name was properly reinstated, the word raptor has become so entrenched that I don't see it going away. 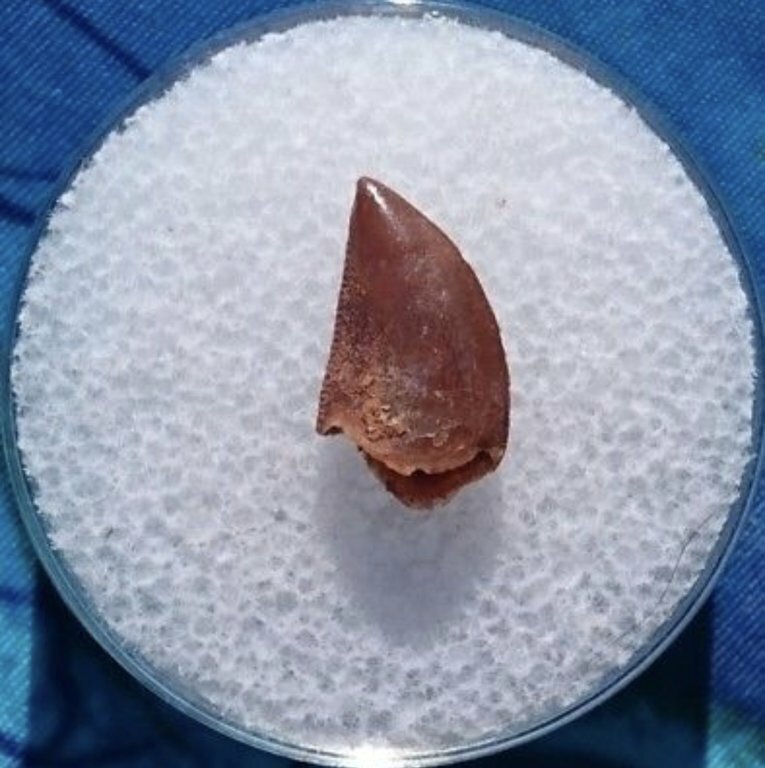 According to the seller of the teeth they are Dromaesaur however I can’t argue with the info given in this thread that it’s probably not raptor. And yes my son is thinking Jurassic Park style raptor tooth. He was shocked when I informed him that they were more like birds. I got him these teeth, a spinosaurus tooth, and a fossilized mako and Megalodon tooth. So what do you all think of these ones I found? I just leave this for comparison. 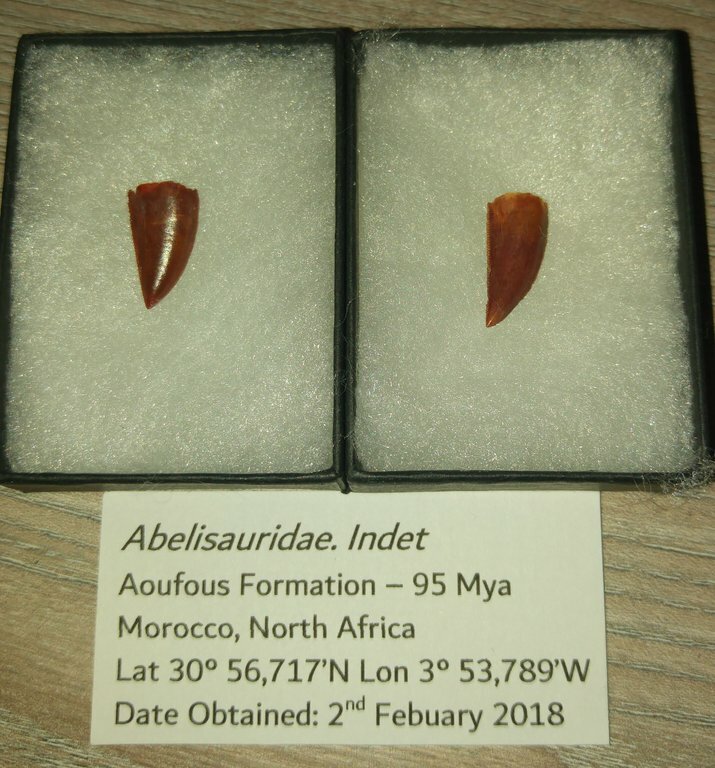 My two Abelisauridae indet teeth from Morocco. this does not mean that there are no Dromaeosaurids present in Kem Kem as there is occurrence yes but they are very rare. In fact, nothing has yet been published about any kind of Dromaeosauridae at Kem Kem. But it is not because a material has not yet been published or scientifically described which means it can not exist. I can assure you that there is, in private collections, more than enough rumors to make us reflect on the possible existence of Dromaeosaurids at Kem Kem. 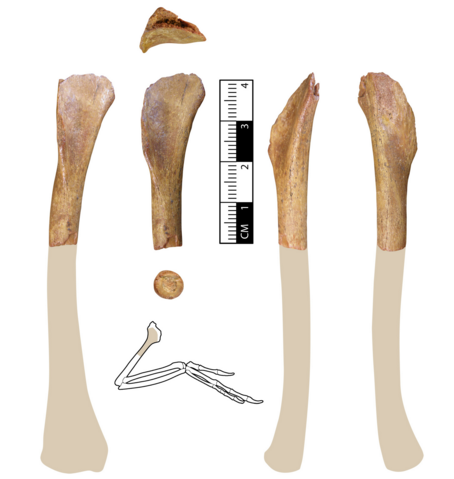 So with so many rumors, I do not believe the claim that there are no Dromaeosaurids in Kem Kem's beds is correct, but rather that there is no published material. Let us hope that someday we will have a better understanding of what Kem Kem really was, and that private collections may someday be as valued as public ones are. You are welcome, my friend Christian. In fact, modern paleontology no longer publishes a new species based on an isolated tooth or bone as it was done in the past. Currently a new species is described based on cranial material. Let us hope that a future not too distant, new discoveries will be made. That's true, but aren't there still occasional papers that go along the line of 'an isolated tooth of [...] from the [...] of [...]'? As far as I know, there is no paper on Kem Kem Dromaeosaurids that refer to teeth. It will not even be necessary to discover some nice cranial material, only a good cranial material identifiable fragment would help a lot. 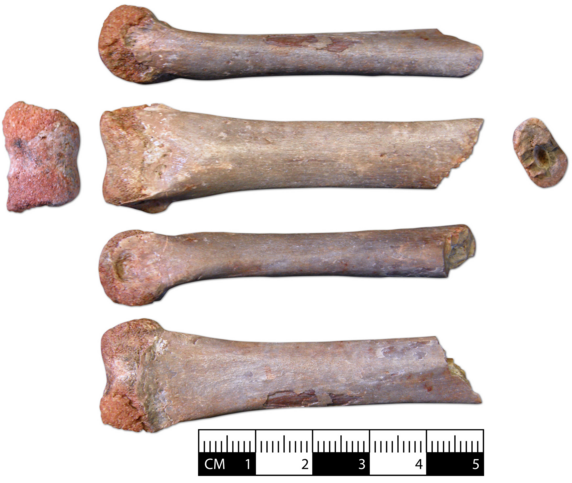 But yes, I have not the slightest doubt of the occurrence of Dromaeosaurids in Kem Kem, but it is a material of relative rarity due to the fragility of the specimens Added to an extremely hostile paleoambiente.